I'm sipping on a chocolate milkshake as I write this. It should be noted, right off the bat, that when the cashier asked me if I wanted whipped cream and a cherry, I didn't even hesitate. "Yes, please," I said because if someone offers you whipped cream and a cherry when you're already drinking your daily allotted calories, you say yes and you don't feel bad. Not even for one second. Not even if you're on a wedding diet. Because, honestly, it's okay to cheat on your wedding diet. Mark my words: You will cheat on your wedding diet and I will not let you feel guilty about it. 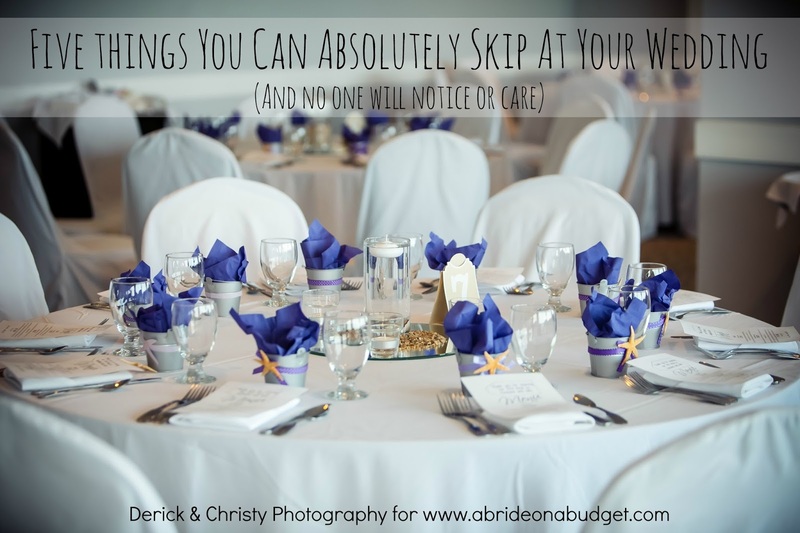 Wedding planning is stressful, and there are a lot of people (myself included) who stress eat. At least, I always call it stress eating. But maybe it's just eating because you're hungry, and being hungry is making you hangry. Or maybe it's eating French fries instead of eating the end of a pencil. Whatever you need to do, you do. 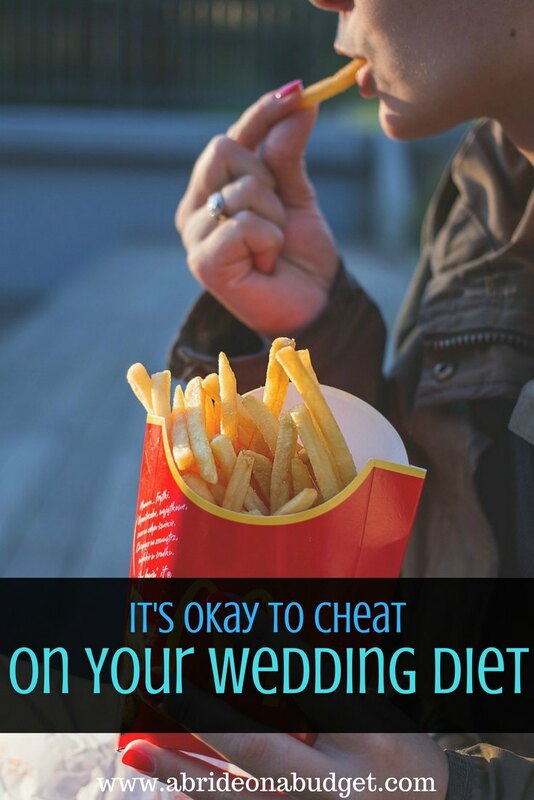 Maybe you won't cheat with a full on fast food meal, but you will (as my friend Michelle always says) feed the beast. And that's okay. What's not okay is when you make yourself feel guilty about it. There are apps out there that help you track every single calorie. And when I was wedding planning, it was a big help. It also made me sort of neurotic. It would make me feel entirely guilty about wanting to indulge with a fun size candy bar. It made me count Goldfish crackers into serving sizes, and it made me feel accomplished if I could snack on half a serving instead of a full one. I was stressing and wanting chocolate. And then feeling guilty for giving in and watching the saturated fat line creep closer to full. So then I would go on walks at the park by our apartment because exercise was negative calories. But then my calves would hurt and I would want to drink tonic water, but that stuff was positive calories. And I'm allergic to diet anything, so that wasn't an option. My life had three options: skip the chocolate and stress over the calories or eat the chocolate, feel bad, walk, drink tonic water, end up stressed over the calories in the chocolate that never got walked off or eat the chocolate, feel bad, walk, skip the tonic water, suffer through pain in my calves, then not sleep because of it and wake up stressed. So I turned to option four: Eat a piece of candy and move on with my day. 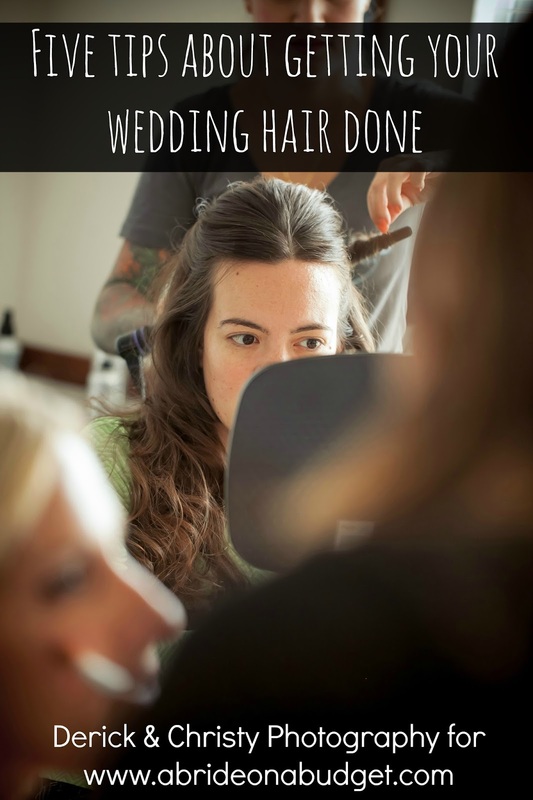 That made life -- and wedding planning -- so much easier. Even after your wedding, follow this advice into your marriage. Some days, you won't be perfect. Some days, your marriage won't be perfect. That doesn't matter. What matters is you do what you can and need to do, and you don't feel guilty about it. You feed the beast. Maybe it needs a chocolate shake; maybe it needs some time alone. Whatever your beast needs, you feed it, and you don't feel bad. Then, when it's full, you come back and try again. 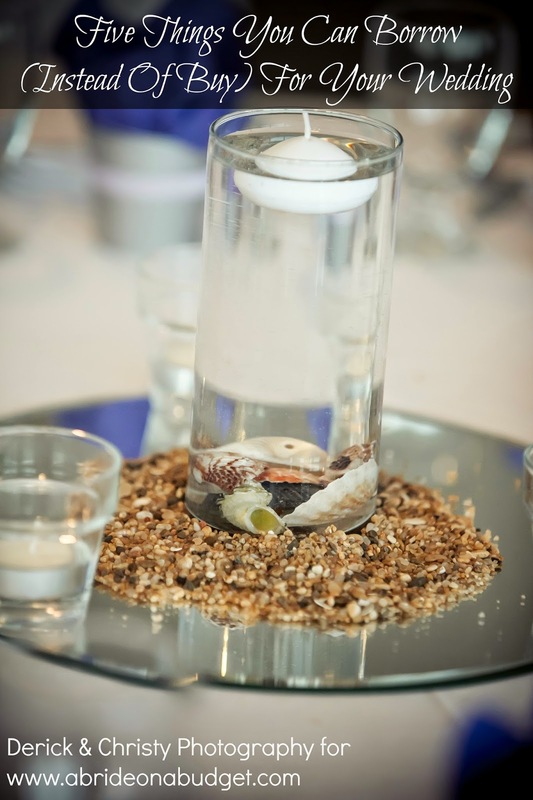 BRIDAL BABBLE: What do you do to feed the beast? 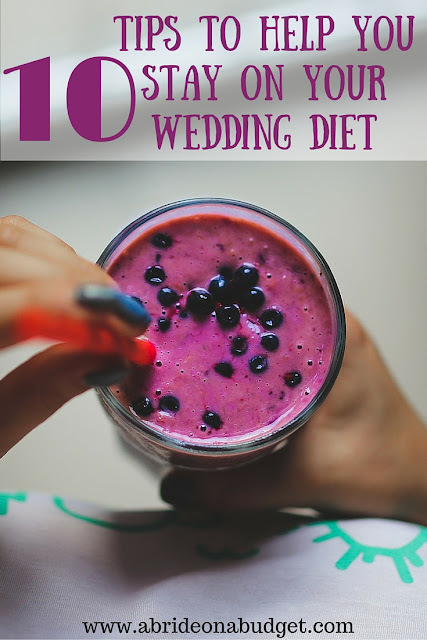 Check out our Ten Tips To Help You Stay On Your Wedding Diet. 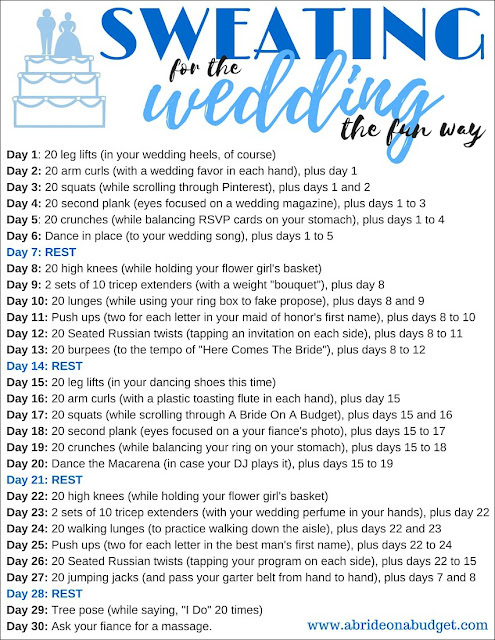 And our Sweating For The Wedding The Fun Way (30-day workout challenge).